If you have a waffle maker but you slightly use it because you don’t want to indulge so much, then here you have the perfect gift. 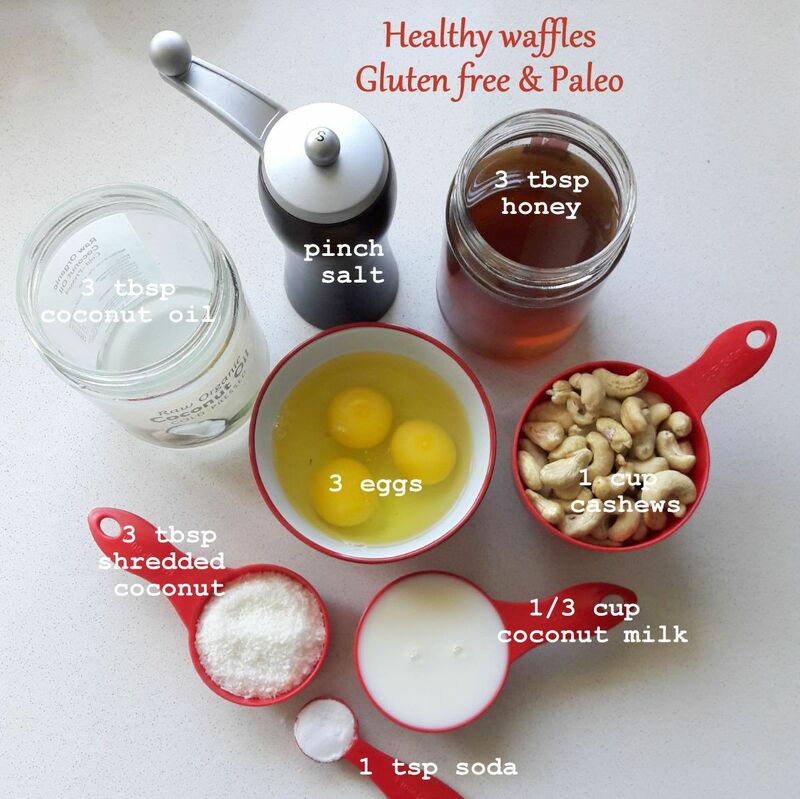 These waffles are great with fruit, nuts, nut butter, yoghurt and honey. You can cook them and store in the freezer to have ready-made snacks when you need them. Mix dry ingredients in blender until flour like. Then add the remaining ingredients and blend well. 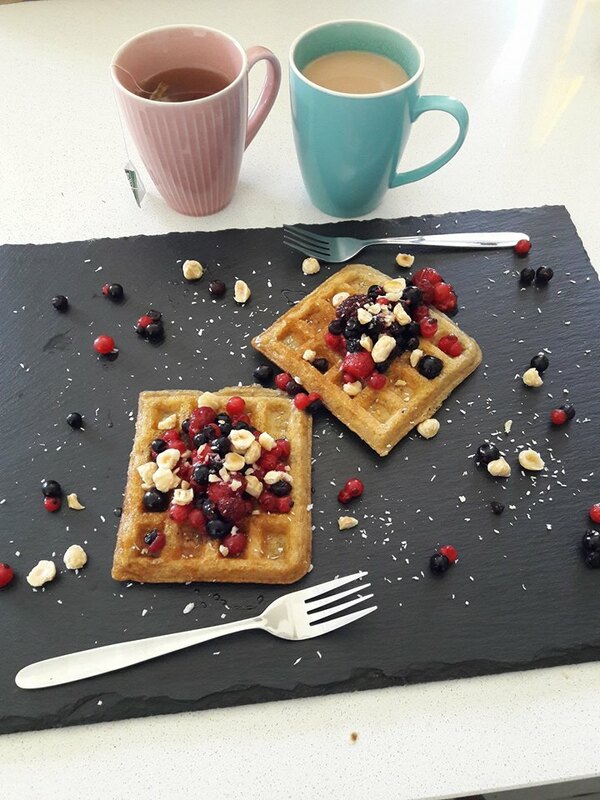 Fill in waffle maker with batter until the batter just covers all the squares. After about 5 minutes the waffles will be done and you can easily pull them out with a fork. Add any favorite toppings for garnish. 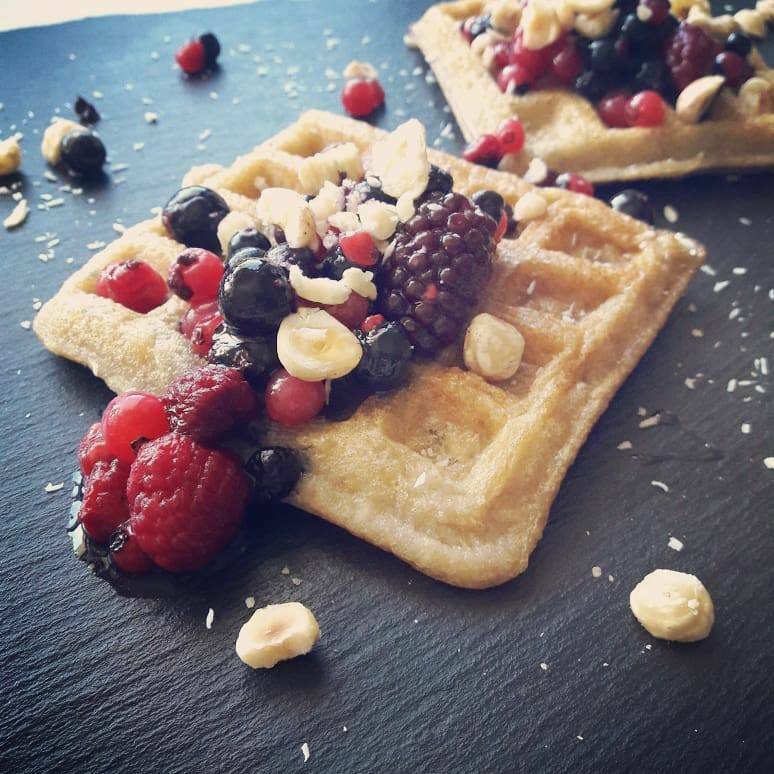 I served with sliced bananas, berries and honey.